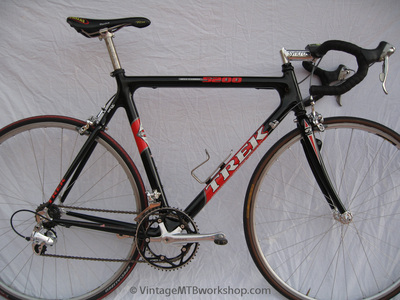 The 5200 was a revolutionary bike for Trek, marking the beginning of a shift from bonded aluminum to carbon fiber frame production. 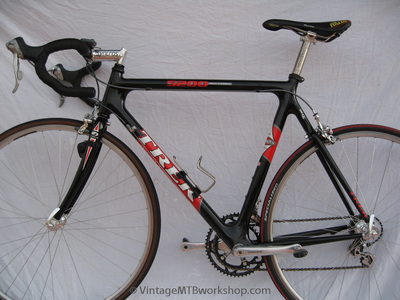 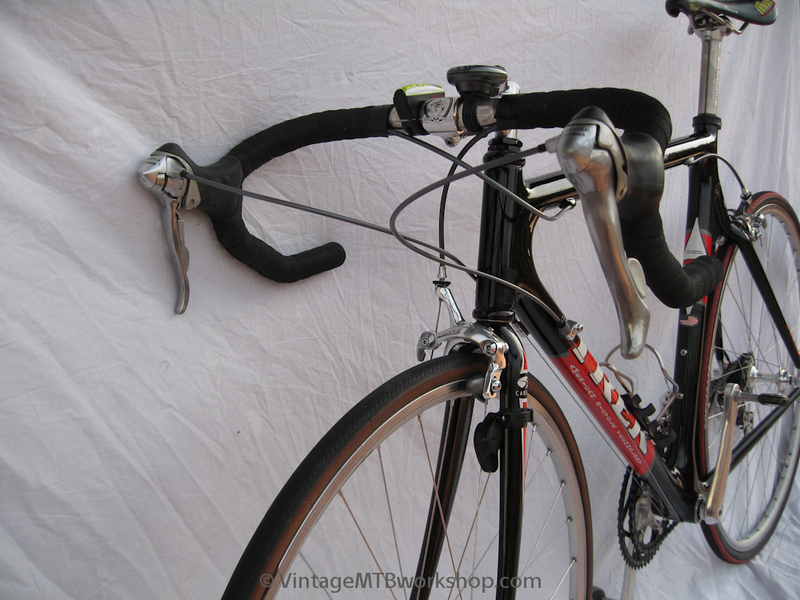 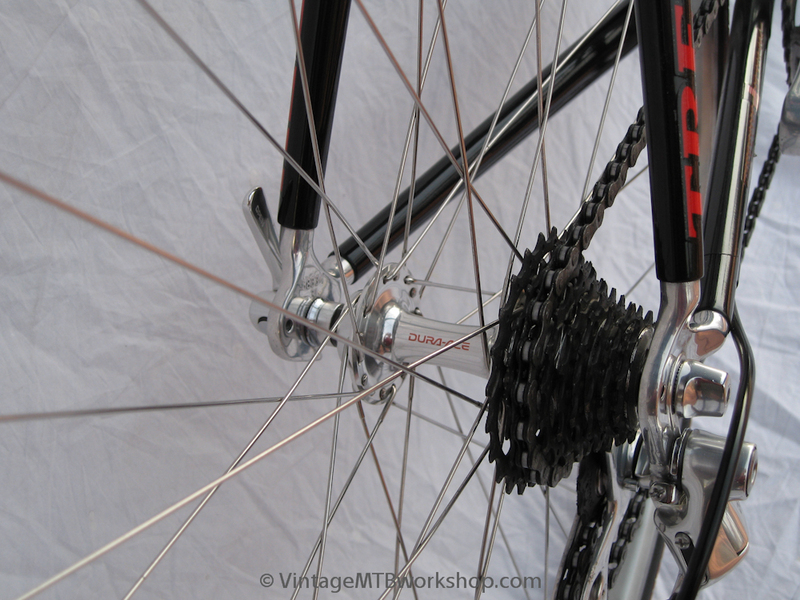 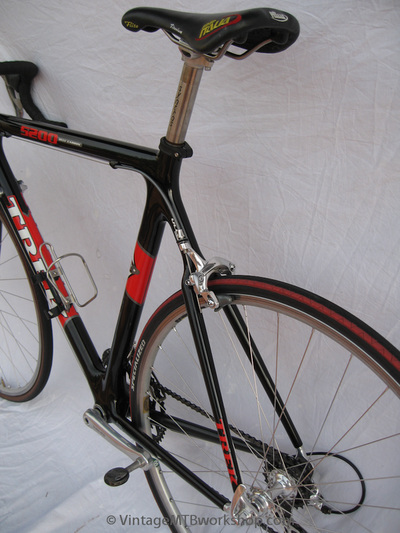 Unlike clam-shell molded carbon bikes at the time from Kestrel and Aegis, Trek took the approach of using woven tubes bonded to carbon lugs. 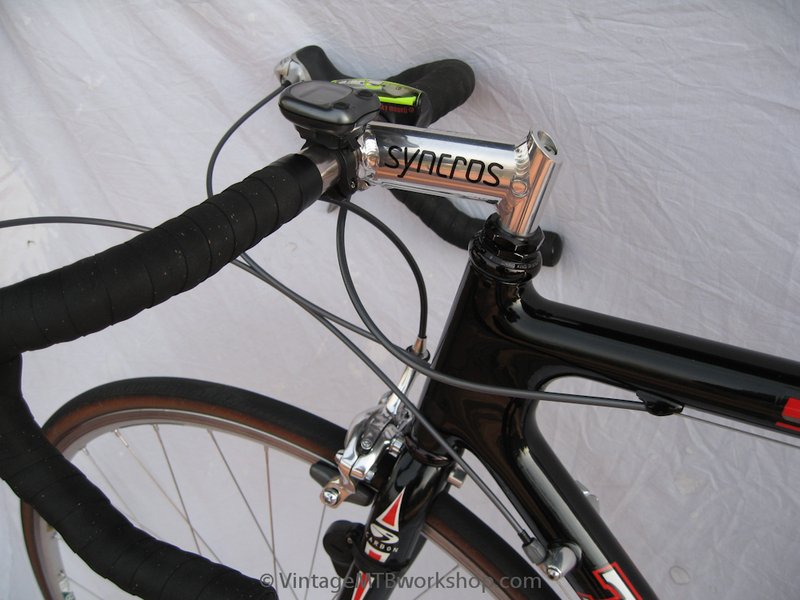 By using pre-made carbon tubes, the wall thicknesses were kept uniform. This particular example saw tens of thousands of high-altitude miles in Colorado. 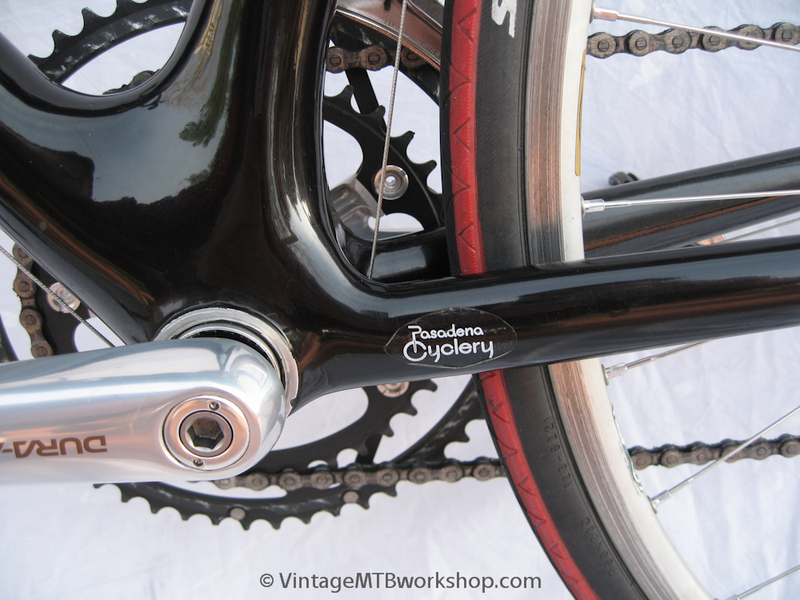 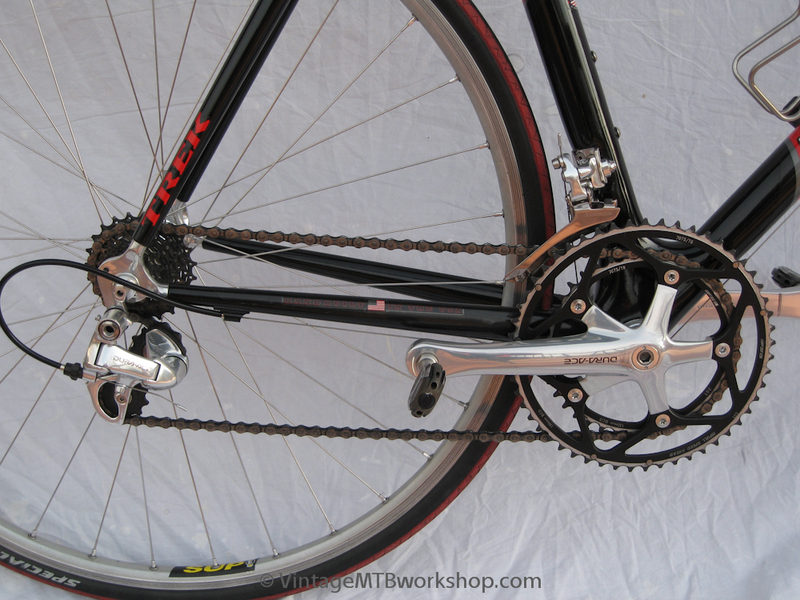 This frame is actually a replacement made in 1999 for the original 1992 frame after a mishap on a century ride.The bike was built many ways over the years, starting with Ultegra 8 speed to Dura Ace 9 speed to the mixed build shown here in its role as a secondary bike. 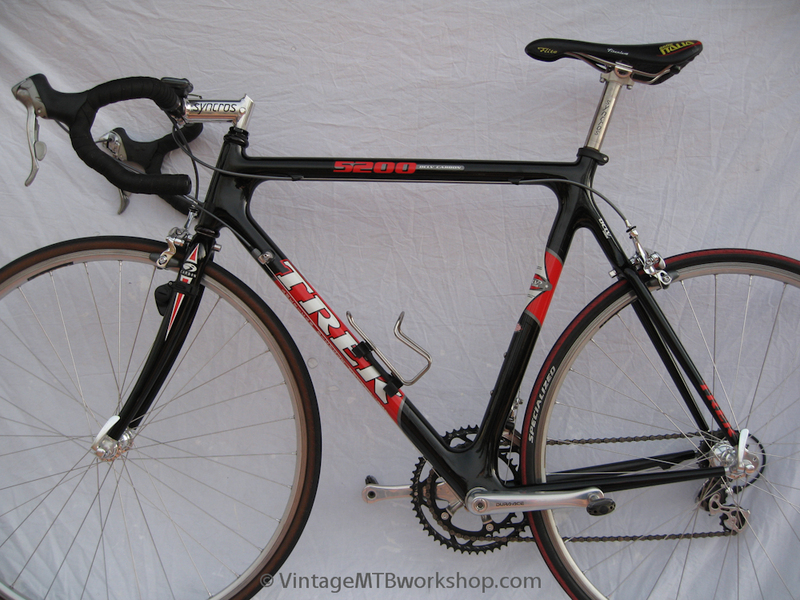 At one time the bike even sported American-made aftermarket parts from Kooka, Hershey, and World Class.